The coating consists of thousands of tiny glass beads, only about one-hundredth the width of a human hair. When sunlight hits the coating, the light waves are steered around the nanoscale bead, similar to the way sound waves travel around a curved wall such as the dome in St. Paul's Cathedral in London. At such curved structures, known as acoustic whispering galleries, a person standing near one part of the wall easily hears a faint sound originating at any other part of the wall. 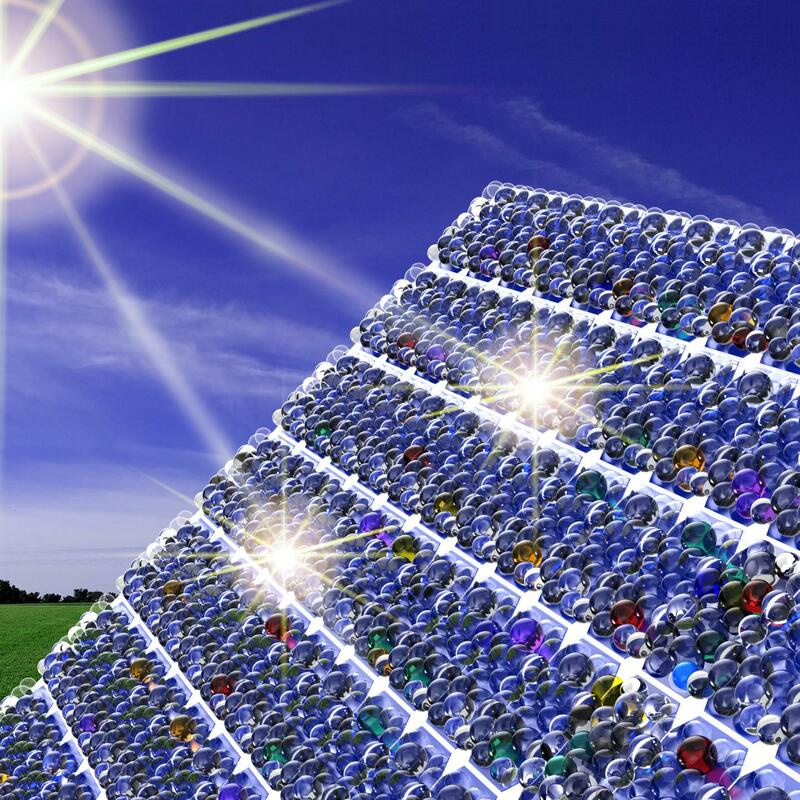 Whispering galleries for light were developed about a decade ago, but researchers have only recently explored their use in solar-cell coatings. In the experimental set up devised by a team including Dongheon Ha of NIST and the University of Maryland's NanoCenter, the light captured by the nanoresonator coating eventually leaks out and is absorbed by an underlying solar cell made of gallium arsenide. The study is the first to demonstrate the efficiency of the coatings using precision nanoscale measurements, said Ha. "Although calculations had suggested the coatings would enhance the solar cells, we could not prove this was the case until we had developed the nanoscale measurement technologies that were needed," he noted. This work was described in a recent issue of Nanotechnology by Ha, collaborator Yohan Yoon of NIST and Maryland's NanoCenter, and NIST physicist Nikolai Zhitenev. In the team's method, droplets of the nanoresonator solution are placed on just one side of the solar cell. A wire-wound metal rod is then pulled across the cell, spreading out the solution and forming a coating made of closely packed nanoresonators. This is the first time that researchers have applied the rod method, used for more than a century to coat material in a factory setting, to a gallium arsenide solar cell. "This is an inexpensive process and is compatible with mass production," said Ha.